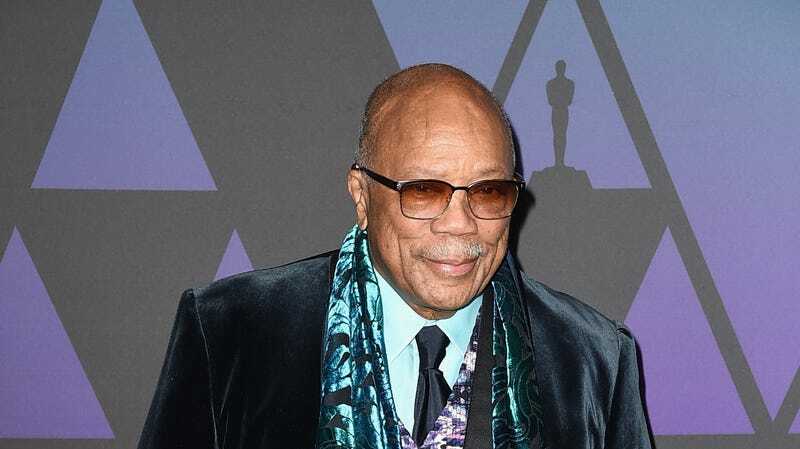 Quincy Jones attends the Academy of Motion Picture Arts and Sciences’ 10th annual Governors Awards on November 18, 2018 in Hollywood, California. How many ways are there to honor the legendary Quincy Jones? How about “One Hundred Ways”... and more! The African American Film Critics Association (AAFCA) have found one of those ways, and will be bestowing its 2019 Special Achievement honor onto the music icon. BlacKkKlansman producer Jason Blum will also be joining Jones as a Special Achievement honoree. Director Anesh Chaganty will be receiving the AAFCA Breakthrough Film Award for his film Searching, and jazz innovator Buddy Bolden will receive the posthumous honor of the AAFCA Pioneer Award. Daniel Pritzker will be helming 2019 biopic, Bolden! about the New Orleans trumpeter, starring Gary Carr, Erik LaRay Harvey, Yaya DaCosta, Ian McShane and Michael Rooker. The AAFCA Special Achievement Awards will be split between two ceremonies: On February 2, six awards, including Bolden’s, will be presented at the California Yacht Club in Marina Del Rey. Jones and Blum will be honored at the 10th Annual AAFCA Awards on February 6 at the Taglyan Complex in Hollywood.